^ French: "La version de M. Lee manque quelquefois d'exactitude, même dans des passage fort simples et très-faciles." ^ Dunn 2005, p. 20. ^ Nehru, Jawaharlal (1989). Glimpses of World History（英語版）. Oxford University Press. p. 752. ISBN 0-19-561323-6. ^ Dunn 2005, pp. 30-31. ^ Peacock & Peacock 2008. ^ Dunn 2005, p. 54. ^ Gibb 1958, pp. 71, 118. ^ Gibb 1958, p. 81 Note 48. ^ Hrbek 1962, pp. 421-425. ^ Dunn 2005, pp. 66-79. ^ Dunn 2005, pp. 41, 97. ^ Defrémery & Sanguinetti 1854, pp. 134-139 Vol. 2. ^ Dunn 2005, p. 102. ^ Sanjay Subrahmanyam, The Career and Legend of Vasco Da Gama, (Cambridge University Press: 1998), pp. 120-121. ^ Helen Chapin Metz (1992). Somalia: A Country Study. US: Federal Research Division, Library of Congress. ISBN 0-8444-0775-5. ^ Versteegh, Kees (2008). Encyclopedia of Arabic language and linguistics, Volume 4. Brill. p. 276. ISBN 9004144765. http://books.google.com/books?id=OWQOAQAAMAAJ. ^ Dunn 2005, pp. 137-139. ^ Gibb 1962, pp. 413-416 Vol. 2. ^ Gibb 1962, p. 417 Vol. 2. ^ Gibb 1962, pp. 418-416 Vol. 2. ^ Dunn 2005, p. 146. ^ Gibb 1962, pp. 422-423 Vol. 2. ^ Gibb 1962, pp. 424-428 Vol. 2. ^ a b Dunn 2005, pp. 149–150, 157 Note 13; Gibb 1962, pp. 533–535, Vol. 2; Hrbek 1962, pp. 455–462. ^ Gibb 1962, pp. 533-535, Vol. 2. ^ Gibb 1962, p. 535, Vol. 2. ^ a b c Aiya 1906, p. 328. ^ Jerry Bently, Old World Encounters: Cross-Cultural Contacts and Exchanges in Pre-Modern Times (New York: Oxford University Press, 1993),121. ^ André Wink, Al-Hind, the Slave Kings and the Islamic Conquest, 11th-13th Centuries, Volume 2 of Al-Hind: The Making of the Indo-Islamic World. The Slave Kings and the Islamic Conquest 11th-13th Centuries, (BRILL, 2002), p.229. ^ Jerry Bently, Old World Encounters: Cross-Cultural Contacts and Exchanges in Pre-Modern Times (New York: Oxford University Press, 1993),126. ^ Dunn 2005, p. 245. ^ Dunn 2005, p. 258. ^ Park, H. (2012). Mapping the Chinese and Islamic Worlds: Cross-Cultural Exchange in Pre-Modern Asia. Cambridge University Press. p. 237. ISBN 9781107018686. https://books.google.co.uk/books?id=W-2iWcxD2e8C 2015年6月13日閲覧。. ^ Wade, G.; Tana, L. (2012). Anthony Reid and the Study of the Southeast Asian Past. Institute of Southeast Asian Studies. p. 131. ISBN 9789814311960. https://books.google.co.uk/books?id=XNsk7tLkMU4C 2015年6月13日閲覧。. ^ Dunn 2005, p. 259. ^ a b Dunn, R.E. (1986). The Adventures of Ibn Battuta, a Muslim Traveler of the Fourteenth Century. University of California Press. ISBN 9780520057715. https://books.google.co.uk/books?id=ZF2spo9BKacC 2015年6月13日閲覧。. ^ Gibb & Beckingham 1994, pp. 904, 907. ^ Batuta, I.; Lee, S.; Oriental Translation Fund (1829). 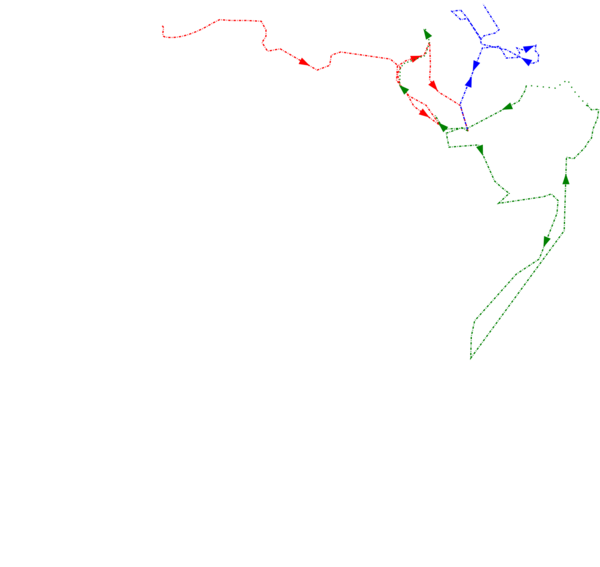 The Travels of Ibn Batūta. Oriental Translation Committee, and sold. https://books.google.co.uk/books?id=22IbAQAAMAAJ 2015年6月13日閲覧。. ^ Rumford, J. (2001). Traveling Man: The Journey of Ibn Battuta 1325-1354. Houghton Mifflin Harcourt. ISBN 9780547562568. https://books.google.co.uk/books?id=9-m4X84BBgwC 2015年6月13日閲覧。. ^ Snodgrass, M.E. (2010). Encyclopedia of the Literature of Empire. Facts on File. ISBN 9781438119069. https://books.google.co.uk/books?id=LXyyYs2cRDcC 2015年6月13日閲覧。. ^ Dunn 2005, p. 260. ^ a b Gibb & Beckingham 1994, p. 896. ^ Levtzion & Hopkins 2000, p. 457. ^ Jerry Bently, Old World Encounters: Cross-Cultural Contacts and Exchanges in Pre-Modern Times (New York: Oxford University Press, 1993),131. ^ Dunn 2005, p. 304. ^ Noel King (ed. ), Ibn Battuta in Black Africa, Princeton 2005, pp. 45-46. Four generations before Mansa Suleiman who died in 1360 CE, his grandfather's grandfather (Saraq Jata) had embraced Islam. ^ Defrémery & Sanguinetti 1853, Vol. 1 p. xiii-xiv; Kosegarten 1818. ^ Burckhardt 1819, pp. 533–537 Note 82; Defrémery & Sanguinetti 1853, Vol. 1 p. xvi. ^ de Slane 1883–1895, p. 401. ^ MS Arabe 2287; MS Arabe 2288; MS Arabe 2289; MS Arabe 2290; MS Arabe 2291. ^ Dunn 2005, p. 4. ^ Defrémery & Sanguinetti 1853, Vol. 1 pp. xxiii. ^ Defrémery & Sanguinetti 1853, Vol. 1 p. xvii. ^ Gibb & Beckingham 1994, p. ix. ^ Gibb & Beckingham 1994. Aiya, V. Nagam (1906). Travancore State Manual. Travancore Government press. https://archive.org/details/travancorestate00aiyagoog. Apetz, Heinrich (1819) (Latin and Arabic). Descriptio terrae Malabar ex Arabico Ebn Batutae Itinerario Edita. Jena: Croecker. OCLC 243444596. http://books.google.co.uk/books?id=qFFTAAAAcAAJ. Burckhardt, John Lewis (1819). Travels in Nubia. London: John Murray. OCLC 192612. https://archive.org/stream/travelsinnubia00burcgoog#page/n10/mode/2up. Chittick, H. Neville (1977), “The East Coast, Madagascar and the Indian Ocean”, in Oliver, Roland, Cambridge History of Africa Vol. 3. From c. 1050 to c. 1600, Cambridge: Cambridge University Press, pp. 183–231, ISBN 0-521-20981-1 . Defrémery, C.; Sanguinetti, B.R. trans. and eds. (1853) (French and Arabic), Voyages d'Ibn Batoutah (Volume 1), Paris: Société Asiatic, http://books.google.co.uk/books?id=mdQOAAAAQAAJ . The text of these volumes has been used as the source for translations into other languages. Defrémery, C.; Sanguinetti, B.R. trans. and eds. (1854) (French and Arabic), Voyages d'Ibn Batoutah (Volume 2), Paris: Société Asiatic, http://books.google.co.uk/books?id=m-UHAAAAIAAJ . Defrémery, C.; Sanguinetti, B.R. trans. and eds. (1855) (French and Arabic), Voyages d'Ibn Batoutah (Volume 3), Paris: Société Asiatic, http://books.google.co.uk/books?id=w_YHAAAAIAAJ . Defrémery, C.; Sanguinetti, B.R. trans. and eds. (1858) (French and Arabic), Voyages d'Ibn Batoutah (Volume 4), Paris: Société Asiatic, http://books.google.co.uk/books?id=AdUOAAAAQAAJ . Dunn, Ross E. (2005), The Adventures of Ibn Battuta, University of California Press, ISBN 0-520-24385-4 . First published in 1986, ISBN 0-520-05771-6. Elad, Amikam (1987), “The description of the travels of Ibn Baṭūṭṭa in Palestine: is it original?”, Journal of the Royal Asiatic Society 119: 256–272, doi:10.1017/S0035869X00140651 . Gibb, H.A.R. trans. and ed. (1929), Ibn Battuta Travels in Asia and Africa (selections), London: Routledge . Reissued several times. Extracts are available on the Fordham University site. Gibb, H.A.R. trans. and ed. (1958), The Travels of Ibn Baṭṭūṭa, A.D. 1325–1354 (Volume 1), London: Hakluyt Society（英語版） . Gibb, H.A.R. trans. and ed. (1962), The Travels of Ibn Baṭṭūṭa, A.D. 1325–1354 (Volume 2), London: Hakluyt Society . Gibb, H.A.R. trans. and ed. (1971), The Travels of Ibn Baṭṭūṭa, A.D. 1325–1354 (Volume 3), London: Hakluyt Society . Gibb, H.A.R. ; Beckingham, C.F. trans. and eds. (1994), The Travels of Ibn Baṭṭūṭa, A.D. 1325–1354 (Volume 4), London: Hakluyt Society, ISBN 978-0-904180-37-4 . This volume was translated by Beckingham after Gibb's death in 1971. An separate index was published in 2000. Hrbek, Ivan (1962), “The chronology of Ibn Battuta's travels”, Archiv Orientalni 30: 409–486, http://kramerius.lib.cas.cz/search/i.jsp?pid=uuid:65a4a519-3e45-11e1-bdd3-005056a60003 . Hunwick, John O. (1973), “The mid-fourteenth century capital of Mali”, Journal of African History 14 (2): 195–208, doi:10.1017/s0021853700012512, JSTOR 180444, http://jstor.org/stable/180444 . Janicsek, Stephen (1929), “Ibn Baṭūṭṭa's journey to Bulghàr: is it a fabrication?”, Journal of the Royal Asiatic Society 61: 791–800, doi:10.1017/S0035869X00070015 . Kosegarten, Johann Gottfried Ludwig (1818) (Latin and Arabic). 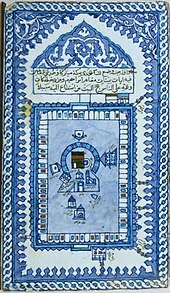 De Mohamedde ebn Batuta Arabe Tingitano ejusque itineribus commentatio academica. Jena: Croecker. OCLC 165774422. http://books.google.fr/books?id=YrBCAAAAcAAJ. 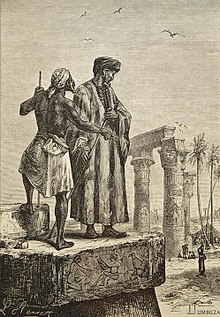 Lee, Samuel (1829), The Travels of Ibn Batuta, London: Oriental Translation Committee, http://books.google.co.uk/books?id=wjAtGKM_-WIC . A translation of an abridged manuscript. The text is discussed in Defrémery & Sanguinetti (1853) Volume 1 pp. xvi-xvii. Levtzion, Nehemia; Hopkins, John F.P., eds. (2000), Corpus of Early Arabic Sources for West Africa, New York, NY: Marcus Weiner Press, ISBN 1-55876-241-8 . First published in 1981. Pages 279-304 contain a translation of Ibn Battuta's account of his visit to West Africa. Mattock, J.N. (1981), “Ibn Baṭṭūṭa's use of Ibn Jubayr's Riḥla”, in Peters, R., Proceedings of the Ninth Congress of the Union Européenne des Arabisants et Islamisants: Amsterdam, 1st to 7th September 1978, Leiden: Brill, pp. 209–218, ISBN 978-900406380-8 . Peacock, David; Peacock, Andrew (2008), “The enigma of 'Aydhab: a medieval Islamic port on the Red Sea coast”, International Journal of Nautical Archaeology 37: 32–48, doi:10.1111/j.1095-9270.2007.00172.x . de Sacy, Silvestre (1820). “Review of: De Mohamedde ebn Batuta Arabe Tingitano”. Journal des Savants (15-25). http://books.google.fr/books?id=j9AdmLBARFcC&pg=PA15. de Slane, Baron (1843a). “Voyage dans la Soudan par Ibn Batouta” (French). Journal Asiatique. Series 4 1 (March): 181–240. http://gallica.bnf.fr/ark:/12148/bpt6k93141d/f193.image. de Slane, Baron (1843b). “Lettre á M. Reinaud” (French). Journal Asiatique. Series 4 1 (March): 241–246. http://gallica.bnf.fr/ark:/12148/bpt6k93141d/f253.image. de Slane, Baron (1883–1895) (French). Département des Manuscrits: Catalogue des manuscrits arabes. Paris: Bibliothèque nationale. http://gallica.bnf.fr/ark:/12148/bpt6k209467t. Taeschner, Franz (1986) . “Akhī”. The Encyclopaedia of Islam. Volume 1: A-B. Leiden: Brill. pp. 321–323. https://archive.org/stream/EncyclopaediaDictionaryIslamMuslimWorldEtcGibbKramerScholars.13/01.EncycIslam.NewEdPrepNumLeadOrient.EdEdComCon.Gibb.Kramersetc.UndPatIUA.v1.A-B.PhotRepr.Leid.EJBrill.1960.1986.#page/n342/mode/1up. Yule, Henry (1916), “IV. Ibn Battuta's travels in Bengal and China”, Cathay and the Way Thither (Volume 4), London: Hakluyt Society, pp. 1–106, http://archive.org/stream/cathaywaythither04yule#page/n9/mode/2up . Includes the text of Ibn Battuta's account of his visit to China. The translation is from the French text of Defrémery & Sanguinetti (1858) Volume 4. Chittick, H. Neville (1968). 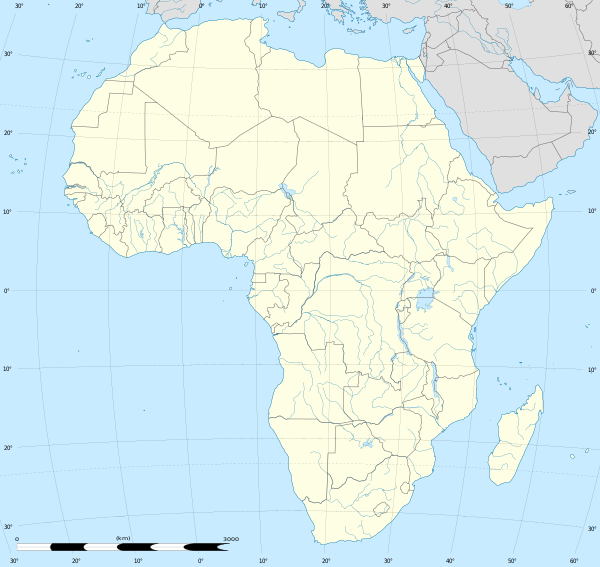 “Ibn Baṭṭūṭa and East Africa”. Journal de la Société des Africanistes 38 (2): 239–241. http://www.persee.fr/web/revues/home/prescript/article/jafr_0037-9166_1968_num_38_2_1485. Ferrand, Gabriel (1913), “Ibn Batūtā” (French), Relations de voyages et textes géographiques arabes, persans et turks relatifs à l'Extrème-Orient du 8e au 18e siècles (Volumes 1 and 2), Paris: Ernest Laroux, pp. 426–437, http://www.archive.org/stream/relationsdevoyag1a2ferruoft#page/426/mode/2up . Gordon, Stewart (2008), When Asia was the World: Traveling Merchants, Scholars, Warriors, and Monks who created the "Riches of the East", Philadelphia, PA.: Da Capo Press, Perseus Books, ISBN 0-306-81556-7 . Harvey, L.P. (2007), Ibn Battuta, New York: I.B. Tauris, ISBN 978-184511-394-0 . Mackintosh-Smith, Tim (2002), Travels with a Tangerine: A Journey in the Footnotes of Ibn Battutah, London: Picador, ISBN 978-0-330-49114-3 . Mackintosh-Smith, Tim (ed.) (2003), The Travels of Ibn Battutah, London: Picador, ISBN 0-330-41879-3 . Contains an introduction by Mackintosh-Smith and then an abridged version (around 40 percent of the original) of the translation by H.A.R. Gibb and C.E. Beckingham (1958–1994). Mackintosh-Smith, Tim (2005), Hall of a Thousand Columns: Hindustan to Malabar with Ibn Battutah, London: John Murray, ISBN 978-0-7195-6710-0 . Mackintosh-Smith, Tim (2010), Landfalls: On the Edge of Islam with Ibn Battutah, London: John Murray, ISBN 978-0-7195-6787-2 . Mžik, Hans von, ed. and trans. (1911) (German). Die Reise des Arabers Ibn Baṭūṭa durch Indien und China. Hamburg: Gutenberg. OCLC 470669765. https://archive.org/stream/diereisedurchind00muam#page/2/mode/2up. Norris, H.T. (1994), “Ibn Baṭṭūṭa's journey in the north-eastern Balkans”, Journal of Islamic Studies 5 (2): 209–220, doi:10.1093/jis/5.2.209 . Waines, David (2010), The Odyssey of Ibn Battuta: Uncommon Tales of a Medieval Adventurer, Chicago: University of Chicago Press, ISBN 978-0-226-86985-8 .